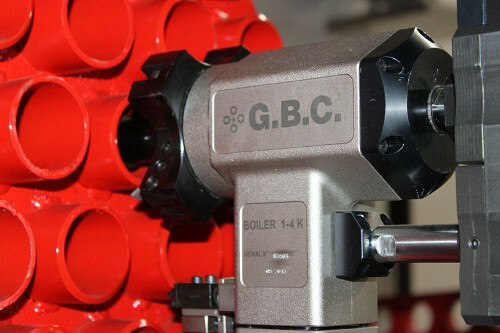 GBC 2700 : Reciprocating saw. Range 1″ – 21″, cuts any kind of steel, ideal for application on site with restricted space, thanks to its easy set up and precision. Available in pneumatic or electric. Supercutter : Pipe cold cutting & bevelling machine. Developed for on site use in pipelines, machine body is split frame type allowing set up of machine at any point along pipelines. 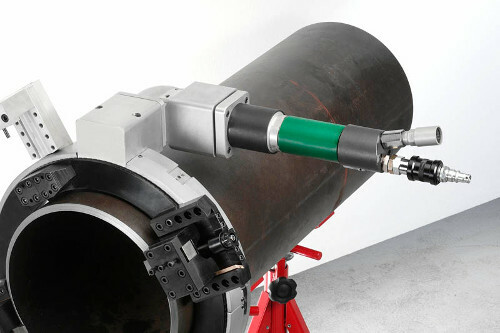 Upper locking jaws are marked with workable pipe diameter for easy and quick machine set up onto pipe. The unit is equipped with two copier toolboxes for following the pipe od profile, minimizing the bevel offset due to out of round of pipe. Range 1″ – 21″ outside diameter. GB CUT : Flame cutting machine. The cutting and/or bevelling is carried out by a cutting torch (acetylene/propane torch upon request) mounted on its specific torch holder. The holder is equipped with scaled junction in order to allow a perfect positioning of the torch on the cutting start point. Range 4″ – 80″ outside diameter.